Our Kindergarten children made a tasty treat with wafers, crackers, cheese and cucumbers as they celebrated 100 days of school. 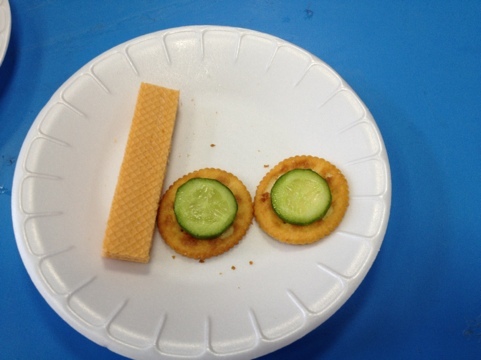 Posted on March 9, 2012 by Faryal	• This entry was posted in Dubai, Kindergarten and tagged 100 days, Kindergarten, tasty treat. Bookmark the permalink.